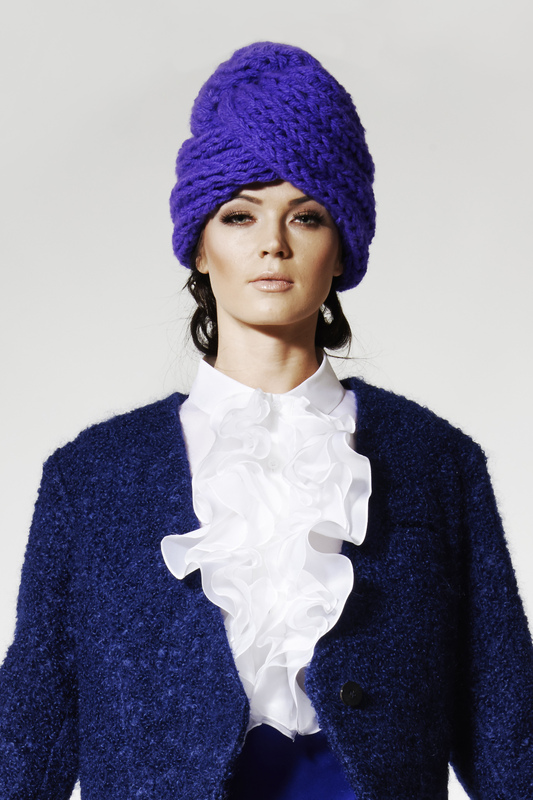 Home » Bespoke » Wanisha hand knitted turban hat. Hand knitted over-sized turban hat. Purplish blue tone.